Feds Retaliate against the Bundy Ranch and the Southern Nevada People On Friday October 10th, 2014 a Notice from the federal registry reveals that the federal government is mounting retaliations against the Bundy family and the Southern Nevada people. Federal Register / Vol. 79, No.197 Notice, outlines plans to make the Bundy ranch and most of the rest of Southern Nevada, Areas of Critical Environmental Concern (ACECs). 90 days from October 10th, 2014 these proposals will become federal law without consent from the Nevada State legislatures or the people of Southern Nevada. Areas of Critical Environmental Concern (ACECs) are human restricted management areas. ACECs have been a tool used by the federal government to gain further control of large masses of western lands and the resources. There are 33 new Areas of Critical Environmental Concern (ACECs) proposed to cover Southern Nevada totaling 1,739,795 acres. 12 of the 22 existing ACECs are also proposed to be expanded. (See List Below) The Bureau of Land Management (BLM) filed this lists on October 1st. This is a direct assault on the State of Nevada. It is also a deliberate retaliation against the people for standing against the horrific action of several federal agencies at the Bundy ranch. The boldness of the federal government’s timing and action on these matters are astonishing. They are again making a clear case that they are willing to use federal power to punish the local people. Harry Reid’s declaration “This is not over” is proving to be uncharacteristically accurate. Before the Bundy ranch standoff, there were approximately 1 million acres of ACECs in Southern Nevada. 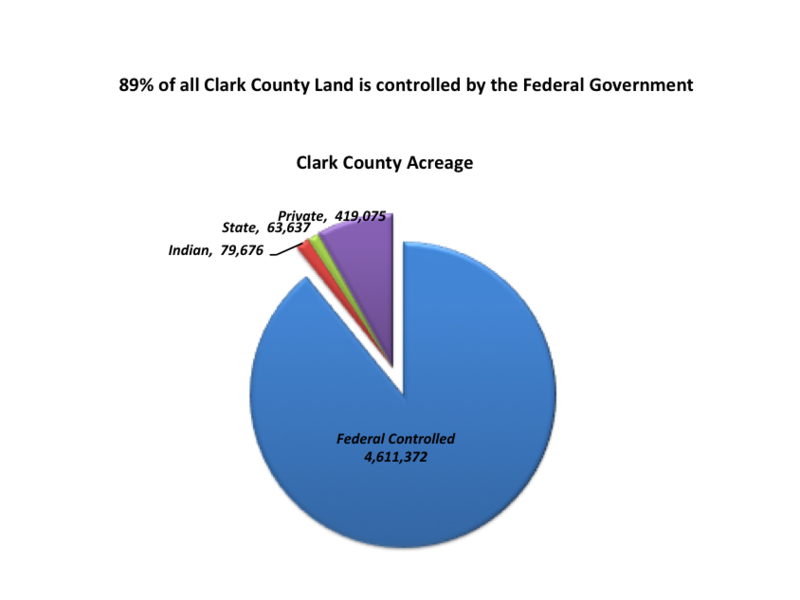 Now after the Bundy standoff, the BLM is proposing an additional 1.8 Million acres (a 280% increase) all of which just happens to be in Southern Nevada. Although this is not proof, anybody with a little intelligence can see that Harry Reid and the BLM are not protecting the environment; they are punishing their enemies. How is it that all newly proposed critical environmental land in the Untied States just happens to reside within miles of the Bundy ranch? Is the land in Southern Nevada so different/dangerous/special/delicate and important? From near the beginning of history, tyrannical men have sought to oppress through the control of land and resources, “Control the land and resources, and you have the power to control the people”. There is a direct correlation to land and resources with power and wealth. All major powers in world history have gained their power & wealth by conquering the land and controlling the resources. It is self-evident that certain men within our government understand this and have implemented these age-old tactics upon the people of this country. For decades they have used government to gain power & wealth for themselves by controlling the land and resources. Our founding fathers understood this nature, they drafted the Constitution to protect us from the despotic men that history is so full of. They limited the powers of government by outlining what lands the federal government can control and by separating the powers they hold. Their intent was to quickly dispose the land and resources to the local people, where it is most safe. Under federal rule, the people that live on or near the land have no say to what happens in their own backyards. They have no republic form of government. The decisions are all made by appointed representatives from Washington D.C. These representatives have no responsibility to the people and there is no practical legal way to hold them accountable. In direct violation of the U.S. Constitution federal agencies use the lands as their own and suppress the rightful stewards. At the moment of Statehood land inside the new State is no longer U.S. Territory, and no longer does U.S. Congress or any of the federal agencies have authority to dispose of the land or make any rules or regulations respecting to it. At Statehood it becomes the right and duty of the people of the State to dispose of and regulate all the lands within the boarders of that State. This is called a republic form of government, for the people, by the people. The incident at the Bundy ranch indicates that people are beginning to question the legitimacy of federally controlled lands within their State. It also proves that the people have the courage to stand against despotic government actions. The purpose of the federal government is to protect and uphold the rights of the people, not to profit from the spoils in taking their lands and resources away. The recent action of the BLM in creating new federal code (ACECs) to expand their control and power by restricting the people further from their lands is a continuation of illegally controlling land with-in a State. We call upon our County and State representatives to take courage and end the unconstitutional federal control of land and resources within the State. The legal and rightful control of the land belongs to the local people. The land within the State must be returned to people in a republic form of government. It is time for the State to dispose of the land to the people, open the land up for useful purposes, and protect the preemptive property rights of the people. Lest there be any confusion regarding how these new federal rules impact the Bundy family, we will continue ranching as our family has done in the Southern Nevada area for over 137 years. We intend to use our preemptive property rights of grazing and water, the rights that Nevada State law both recognizes and is charged to protect. We are not intimidated by the past action of the federal government, nor will we yield to their future attempt to subdue the State or the people. We refuse to submit to unconstitutional codes and regulation that dismantle Statehood and deprived our American neighbors and ourselves of the unalienable right so many of our kinsmen suffered and died for.